(Bloomberg) — Sibanye Gold Ltd. said gold output in South Africa will be 6 percent lower than expected this year while costs will be higher, after a series of fatal accidents disrupted operations. There have been 21 people killed at Sibanye’s South African mines this year, nearly half of the total 47 reported deaths across the local industry. The company is addressing the issue with “utmost urgency,” Chief Executive Officer Neal Froneman said Monday. Sections of Sibanye’s Masakhane mine, where an earth tremor resulted in the death of seven workers, have been shut for rehabilitation until February. Sibanye is awaiting the outcome of an investigation by the country’s chief inspector of mines and any public calls for action against the company are premature until the probe is completed, he said on a conference call with analysts. Froneman also repeated Sibanye’s objection to the suggestion last week by Citigroup Inc. analysts that the company may have mined high-grade pillars that were previously considered “too dangerous” to exploit. Sibanye expects to produce 1.17 million to 1.21 million ounces of gold in South Africa this year, the company said in a statement. It increased the forecast range for so-called all-in sustaining costs by about 8 percent to as much as $1,263 per ounce. Sibanye expects platinum-group metals production in South Africa will be at the upper end of an earlier range and maintained its projection for U.S. output. Sections of Sibanye’s Masakhane mine, where an earth tremor resulted in the death of seven workers, have been shut for rehabilitation until February, the company said. 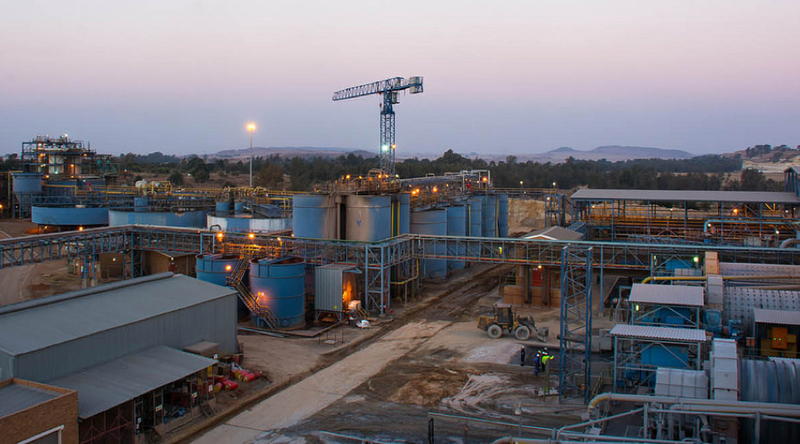 Sibanye views a class-action lawsuit filed in the U.S. against the company, Froneman and Chief Financial Officer Charl Keyter as “opportunistic” and will vigorously defend against it, the CEO said. Sibanye shares have dropped 45 percent this year and are trading near the lowest since December 2013.